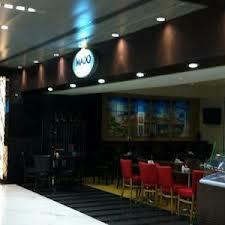 The menu served to the guests in Mado Restaurant at Dubai International Financial Centre (DIFC) Level B1, reflects it more like a Turkish cafeteria which usually do not have famous succulent kebabs of Turkey. But this eatery offers fine assortment of delicious Turkish cuisine that will make a diner’s experience at this bistro memorable. Prompt service makes this place even more charming. Plus the portions of food are also huge enough to satisfy even greedy foodies. As far as the settings of Mado Restaurant are concerned they would not also let down the customers who prefer to savor nice Turkish food in elegant interiors. Although this restaurant is known for its delicious Turkish fare which comprises of dishes like basmati rice, kofta, salads, baklava, bean & lamb stew and etc, but one cannot rule out this venue when it comes to savoring pastries. As pastries of Mado Restaurant can be easily termed best in the town because they are light, dewy and extremely scrumptious. These fine attributes bring myriad lunchers to this venue, where chefs make every effort to give authenticity to each dish they prepare. Between Sunday and Thursday this restaurant remains open from 6:00 am to 10:00 pm, whereas on Friday, activities are carried out from 10:00 am to 3:00 pm and on Saturdays food is served between 7:00 am and 10:00 pm. Level B1, DIFC, Sheikh Zayed Road - Dubai - United Arab Emirates. Financial Centre Metro Station 1 is 1.2 kilometres away from Mado Restaurant and on foot this gap can be covered in roughly 15 minutes. To do so, patrons need to head in the northeast course from this metro station, then turn right and afterwards turn left towards DIFC Parking to go through one roundabout. 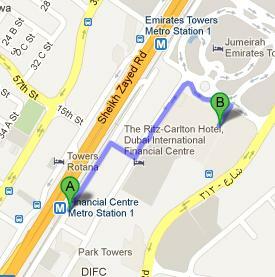 After that make a slight right turn towards DIFC Parking, before making a right turn that goes onto towards DIFC Parking. Take bus number 27 or 29 and arrive at Emirates Tower 1 – Dubai bus stop that is just 400 meters away from Mado Restaurant and on foot this journey can be completed in about 5 minutes. If a person heads southwest on 312th Road, then turn right towards DIFC Parking and after that turn left towards DIFC Parking. Check map for directions.